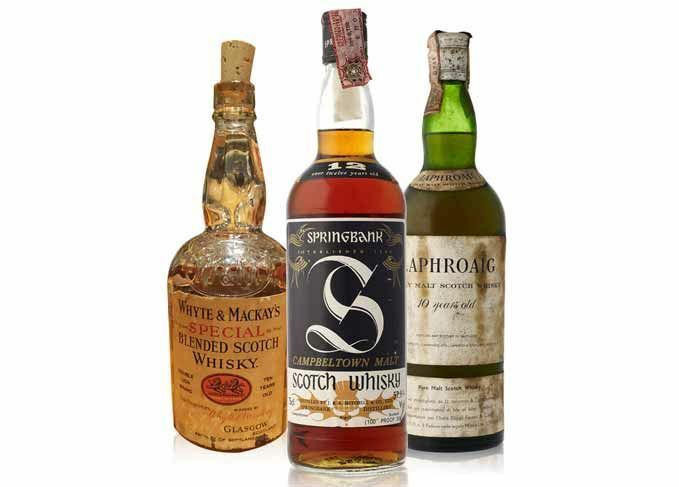 With a helping hand from La Maison du Whisky, Dave Broom has another stunning set of rare Scotch whisky bottlings for you this week. 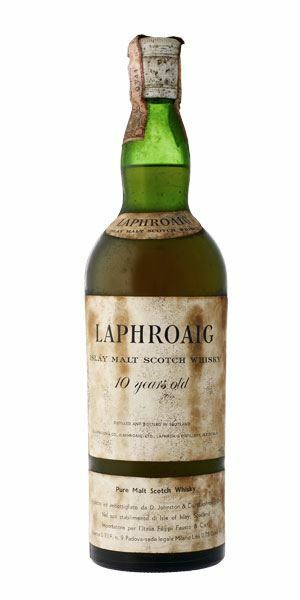 Let’s start proceedings with a 10-year-old Laphroaig from the 1960s – but, in this case, not one of the revered Bonfanti bottlings, but one from Filippi Fausto. These two were tasted at Whisky Live Paris and again – thanks to the wonderful Marlène Léon, managing director of La Maison du Whisky Collections – 70m below the English Channel on the Eurostar, just to see if depth changes whisky. The conclusion was unclear, but both do need a huge amount of time to develop. 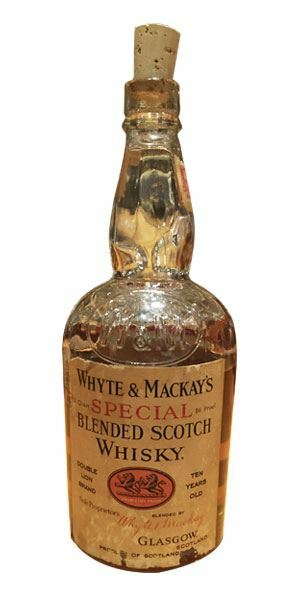 We close with a remarkable Whyte & Mackay 10-year-old blend bottled at some point in the 1930s and acquired from an American collection (details of the US importer are on the back label). From a time when age statements were still rare, and the proportion of malt in the mix still high, this expression is ‘adored’ by Richard Paterson – although he points out that W&M blends from the late 19th century were even smokier. 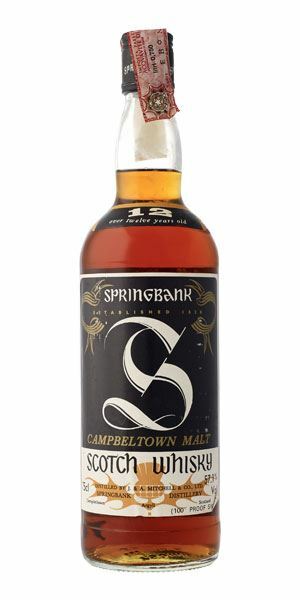 Lovely old bottle funk and slight silage note, then, amazingly for a 10-year-old, tropical fruits before more classical Laphroaig elements of iodine, squid ink and then lemon. Gradually becomes increasingly medicinal with some coal tar and roasting coffee. Bandages and fruit pulp… what a combination. Thick, luxurious, with kulfi, peaches in syrup, then orchid, moss and light oils. The phenolics, which push hard on the nose, have become superbly integrated, making this a massive fruit bomb with mentholated, eucalyptus elements. Even after 30 minutes or more, it still continues to grow, with some passion fruit now developing on top of the increasingly rooted phenols. An amazing old bottling that shows complexity and depth. The man from Del Monte goes to hospital. Deep amber. Rich and resinous, ripe and elegant from the word go. A heady, fluxing, mind-boggling array of aromas slowly come at you in often contradictory combinations. There’s light smoke but also fruit paste (membrillo, sweet potato), ginger in syrup, sweet dates and then salted almond. Things briefly move towards meatiness, but then the oak shows its hand along with refreshing sweet orange, then a waxiness. In time (and I mean a long time) a burst of dark red fruit, barbecued pineapple (funny how so many old bottlings have this note), marmalade and stewed apricot, but always this savouriness. Amazing. Huge. Immensely deep, thick and chewy with plenty of rich, tongue-seducing oils. The complex and savoury elements continue here, now mixing some bitter orange with tamarind and tapenade and hints of Gentlemen’s Relish in the very back adding an exotic salty bite, before dark chocolate and berries take over. It’s not done, though. The third act is all about tart citrus, long pepper and allspice. Leave it for 30 minutes and it suddenly becomes more Cognac-like with gentle fruits and blossom and – just as you think it’s over – there’s a final burst of light soy sauce. Water is never needed. The fruits, oils and smoke combine to keep the journey going. Simply one of the greatest glasses of whisky you will ever try. For me, it’s up there with the same bottler’s legendary Bowmore Bouquet. In Olympus with the gods. Rich and oily with a touch of dried tangerine peel, then some classic old-style waxiness backed with cedar, pencil shavings and whitecurrant juice. A veil of smoke then creeps forward. Becomes increasingly thick. Huge and sweet and immediately smoky, with that unctuous fruit and orange blossom honey. Now there’s more oxidised Sherry elements. Slow and gentle flow that moves towards the dark side: black butter, banana and coal smoke. Becomes earthier in time. A remarkable find dating from the 1930s, meaning that some whisky could be from the 1920s or earlier. Still fresh, but with the coal/wax elements typical of the period. Amazing to think it’s even older than Richard Paterson. While eating his pudding next to a sooty fire, a young Anakin Skywalker has an idea. Rare Batch 14 15/11/2016 A 16-year-old Glenallachie, Glenmorangie Artisan Cask and Hudson’s Bay 1670 Blended Scotch. Rare Batch 12 03/10/2016 A 1970s trio featuring a Cardhu 12-year-old, Glen Ila 5-year-old and Strathconon 12-year-old.